I don’t get to Burien much. In fact, the last time I was there it was to sing the praises of the Elliott Bay Brewhouse & Pub, and that was too long ago according to Guy and Pam Harper. The Burien couple wrote last week to put in the good word for several local dining places. 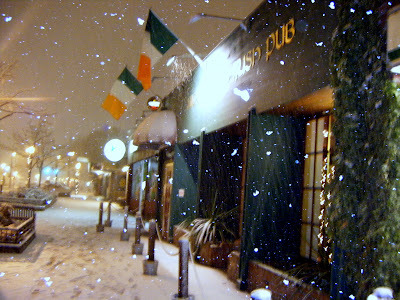 “Mick Kelly’s Irish Pub is excellent and was named Burien’s Outstanding Business for the year 2007,” they said. “They have raised thousands of dollars for various causes through auctions and donations.” The Harpers are also fans of the “low-key and enjoyable” 909 Coffee & Wine — “a wonderful place to meet for lunch and dinner.” And their review of Bistro Baffi Italian Cuisine — “a very, very fine restaurant” owned by a chef and host Michael Vujovich, is “simply outstanding” in their estimation. Here’s the part where you’re supposed to say: “OK, the Harpers live in Burien. Of course they love Mick Kelly’s. 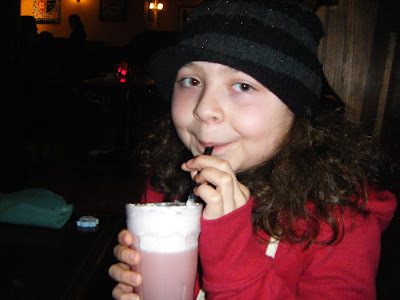 Now explain why a curly-haired 10-year-old from Edmonds is hip to Burien’s Irish hangout.” Well, let’s just say that you haven’t lived till you heard little Ciara (that’s KEE-rah, pronounced the Irish way) affect an Irish accent and order up a Guinness. Gets a laugh out of me and my family every time. I’ve always wanted to go to “Uncle Mick’s,” and having had the chance, I was pleased to find a fine troubadour — a fella named Bernie — playing Irish folks songs. Including a classic of the genre whose refrain, appropriately enough, went: “Whiskey, whiskey, Nancy whiskey. Whiskey, whiskey, Nancy O.” Which, given the weather that night, wasn’t a half-bad idea since Mac was driving and I was a nervous wreck in all that snow. So, where do you like to eat in Burien? 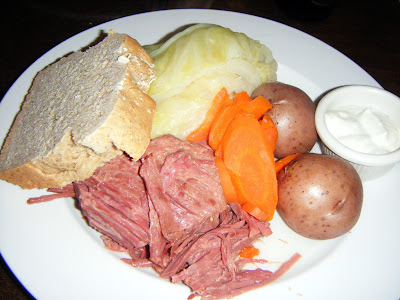 And when it comes to lifting a pint ‘o beer along side a plate of corned beef and cabbage here in the Greater Seattle area, which Irish pub do you frequent?